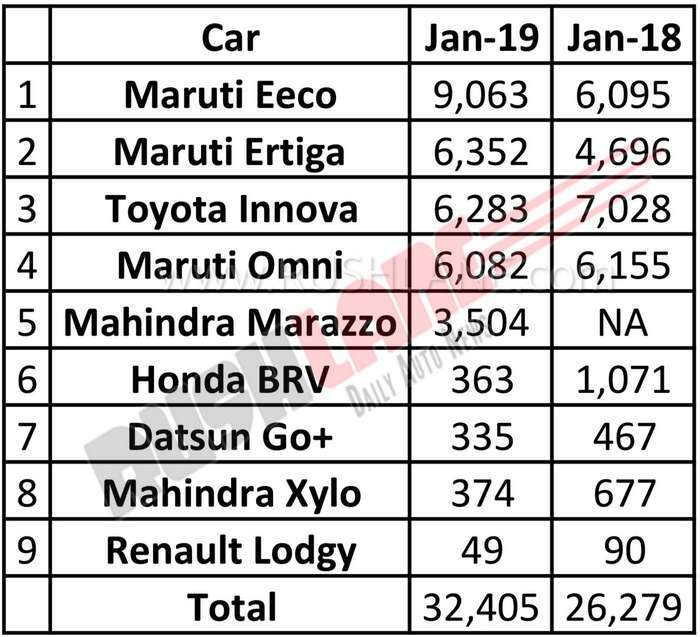 Maruti Ertiga recorded more sales in Jan 2019, as compared to Toyota Innova Crysta and Mahindra Marazzo. But it is not the best selling MPV of India. 2019 Maruti Ertiga with notably improved features over its earlier counterpart, has claimed improved sales in January 2019. 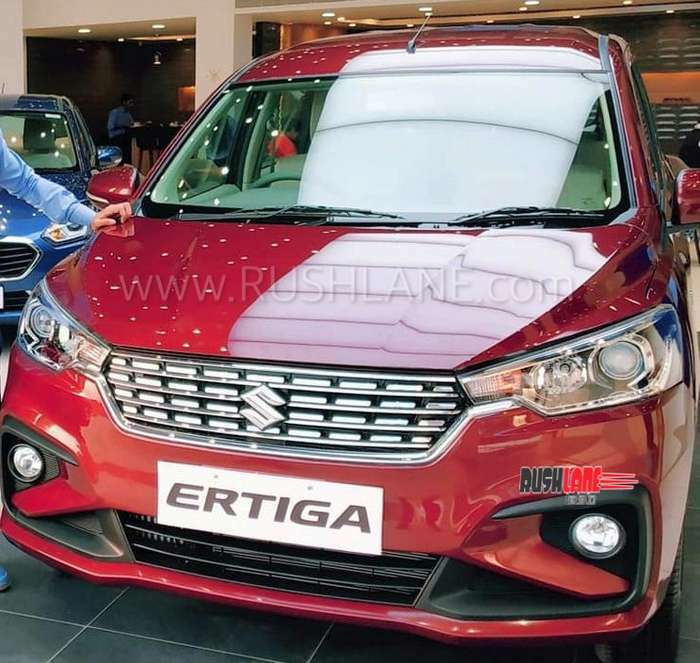 Sales of the new Maruti Suzuki Ertiga stood at 6,352 units in January 2019 as against 4,696 units sold in January 2018. Following Ertiga on the list of best selling MPVs in January 2019, is the Toyota Innova Crysta, whose sales dipped to 6,283 units in Jan 2019, as against 7,028 units sold in Jan 2018. It may be noted here, that the new Maruti Suzuki Ertiga is priced from Rs. 7.44 lakhs while the Innova Crysta is priced form Rs.14.83 lakhs onwards. They are not exactly rivals. Though the Toyota Innova Crysta is two years old, age has not deterred buyers in this segment despite its higher price as factors such as space, comfort, features and low maintenance costs play in favor of this MPV. Following Innova Crysta is the recently launched Mahindra Marazzo. It continues to register sales in the 3.5k region. For Jan 2019, sales stood at 3,504 units. In the past month, the company also introduced the 8 seater version of the top spec Mahindra Marazzo M8 which is priced at Rs.8,000 more than its 7 seater version at Rs.13.98 lakhs. Apart from Ertiga, Innova and Marazzo, there are a couple of more MPVs on sale in India. In fact, India’s best selling MPV is not Ertiga, but Maruti Eeco, with 9,063 units sold in Jan 2019. Maruti Omni is another good selling MPV, which registered sales of 6,082 units in Jan 2019. Maruti Omni will be discontinued soon as it does not meet crash test. It has been in production for 35 years now. Honda BR-V, Datsun Go+, Mahindra Xylo and Renault Lodgy, have all experienced lack luster sales in January 2019. Honda BR-V MPV was at No. 6 with sales of just 363 units in January 2019 as compared to sales of 1,071 units in January 2018. Sales of the Datsun Go+ which was at 467 units in January 2018 also dipped to 335 units in January 2019. Mahindra Xylo sales declined from 677 units to 374 units. Renault Lodgy experienced lowest sales in the segment, from 90 sold units in January 2018 to 49 units in the past month. In total, the above managed to register sales of 32,405 units. Which is an increase of 21.2 percent.